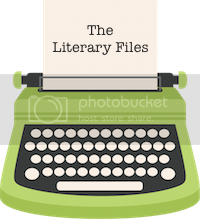 Ever want to know just the quick, simple details of a book? 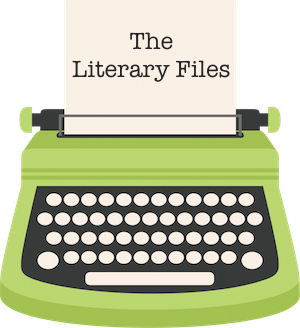 The Lowdown is just that: just the gist, just an overview. Let me know in the comments if you'd like to join in on The Lowdown fun! 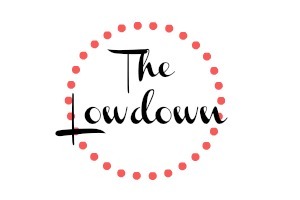 I'll create a linky for next week's Lowdown! "Gifted with the unusual ability to embroider the very fabric of life, sixteen-year-old Adelice is summoned y Manipulation Services to Become a Spinster, a move that will separate her from her beloved family and home forever." In Arras at age sixteen girls are taken in for testing by The Guild to see if they possess the talent of a Spinster (one who can weave the strands of time). Adelice has an incredible talent that her parents are trying to keep hidden, but during testing Adelice accidentally lets their secret out and is forcefully taken to the Western Coventry with a selection of other girls to live out their days weaving time. While in the compound Adelice uncovers secrets about not only the corrupted government, but also about herself. In this beautifully told story, Albin writes of Adelice's unique journey in a world that is anything but normal. 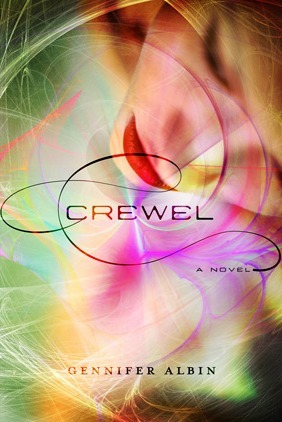 Check out Crewel on Goodreads and Amazon! I liked this book as well! Awesome!! Me too! :) Thanks for stopping by and commenting! This is a great feature! These are the types of things I need to know before I read. Cant wait to see more of these! Aw thanks so much Lucy! Me too, I just like to know some of the quick facts! So happy to hear you'd like to see more! Thank you! Nice format. I like it. Thanks. Love this kind of review-breaking the book down to its essentials. My favorite part of this book was the ending, which left me so poised for part two. I can barely wait! Aw thank you! I totally agree, it was the best (and surprising!) definitely looking forward to book two, too! Thanks! great idea, definitely a quick easy way to find out about a new book! Cute!! I like this feature. It's a nice little summary without giving too much away for people who like me who fear spoilers :) Quick and to the point! Great idea! Aw thank you! I'm always so afraid that I'll read/ write a spoiler so I thought this was a safe way to go. Thank you!